Powderbark Matilda Bay going great guns on the eventing scene! 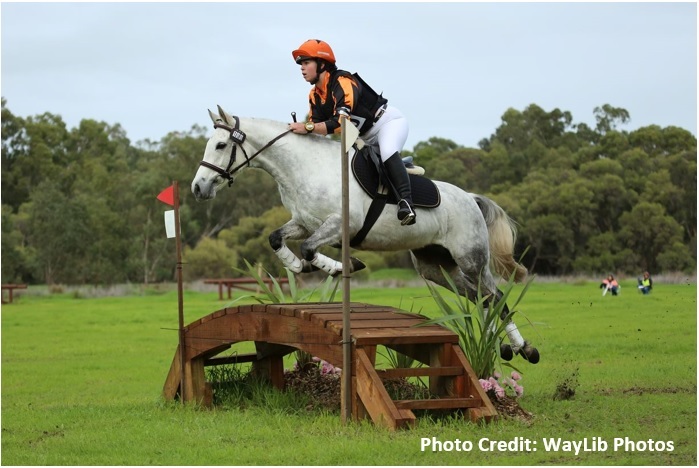 Fantastic to hear how well Powderbark Matilda Bay (Glenormiston Fibber McGee x Binbrook Leonie) has been going on the eventing and showjumping scene lately. Most recently, Matilda and her wonderful rider, Lucy, came 2nd out of a field of 28 in the EvA80 at last weekend’s Brigadoon ODE, with no penalties. Congratulations to both Lucy and Matilda’s owner, Julie, on such wonderful achievements!